I posted about how I use themes in my classroom a few years back and I thought I'd share here, because I still get questions about how I could possibly use themes and still hit the Common Core. I'm here to tell you, it's very possible! 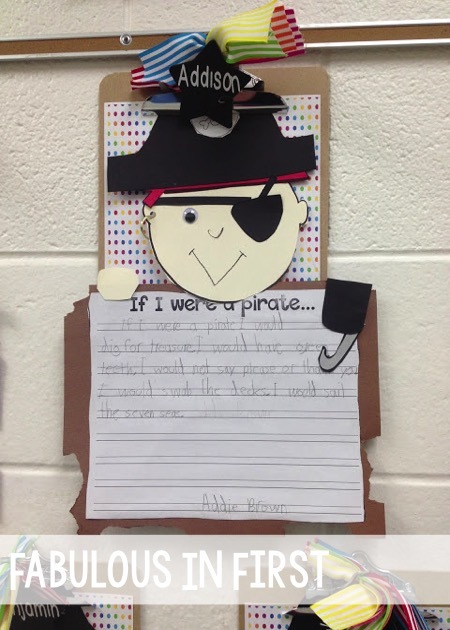 The pictures below will show our two week theme of Pirates! I often use whatever I need to cover in our Science or Social Studies standards to help me choose my themes. 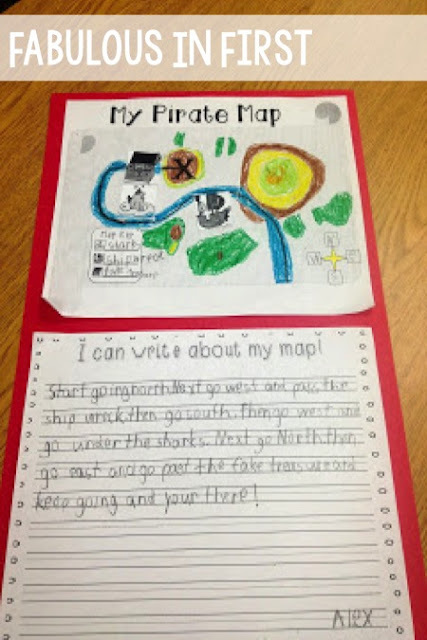 In this case we had to cover map skills and I knew treasure maps would be the best way to engage my students in this standard. 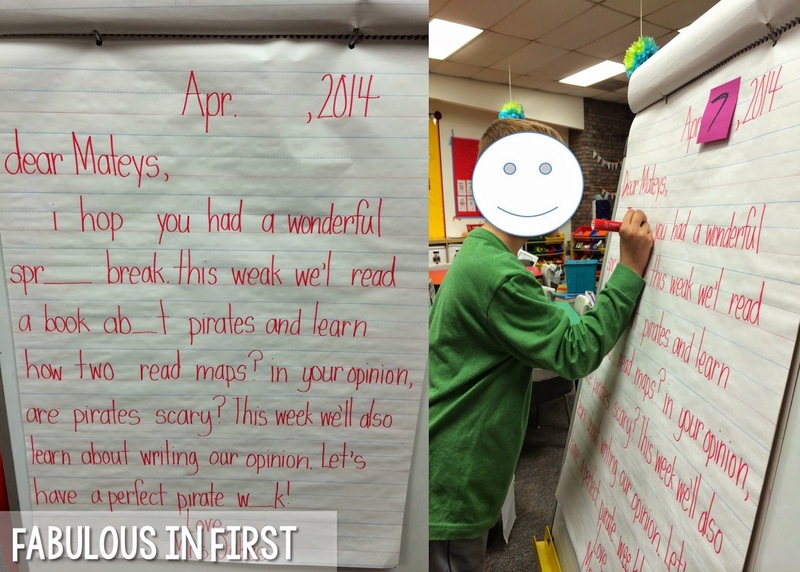 Most of our days were filled with pirates and we hit a more Common Core standards than I can count. Themes help me make the standards exciting and also make everything flow and make sense to my little people. So I thought I'd show you how a little of what we covered during our pirate through our theme. Every week we start our morning with our morning message. As you may know from reading my blog, I use the same message all week. We change the date each day and work on different skills. On Mondays we fix mistakes and fill in blanks, we also do things like finding words with long and short vowels, inflectional endings, multiple meaning words and parts of speech. 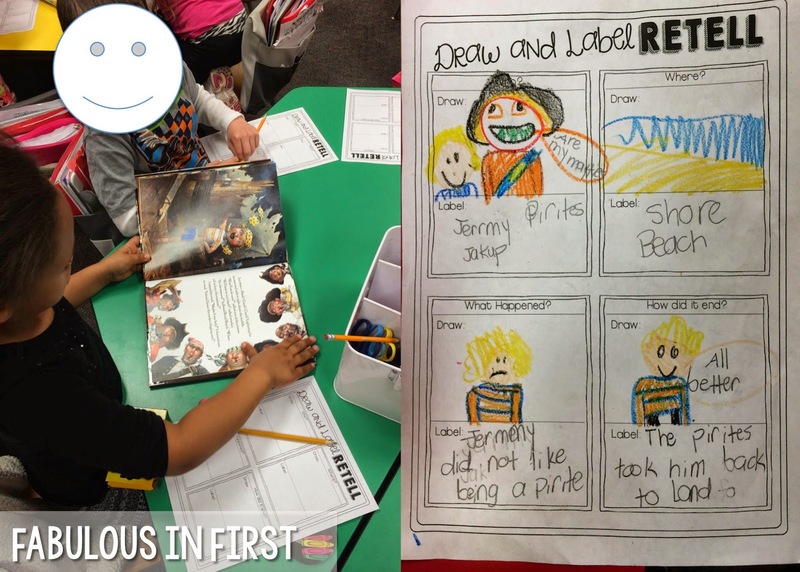 I also talk about contractions, lots of language and writing standards as well. After morning message we move on to our poem. I wrote a poem about being a pirate. On day one we just read the new poem and discuss its meaning. Other days we use our pocket chart highlighters to work on language and phonics skills. We might find parts of speech, look for words with short or long vowels, find digraphs, rhyming words, sight words...the possibilities are endless. Again, our poem always matches our theme for the week. Each week I choose a book that matches our theme. 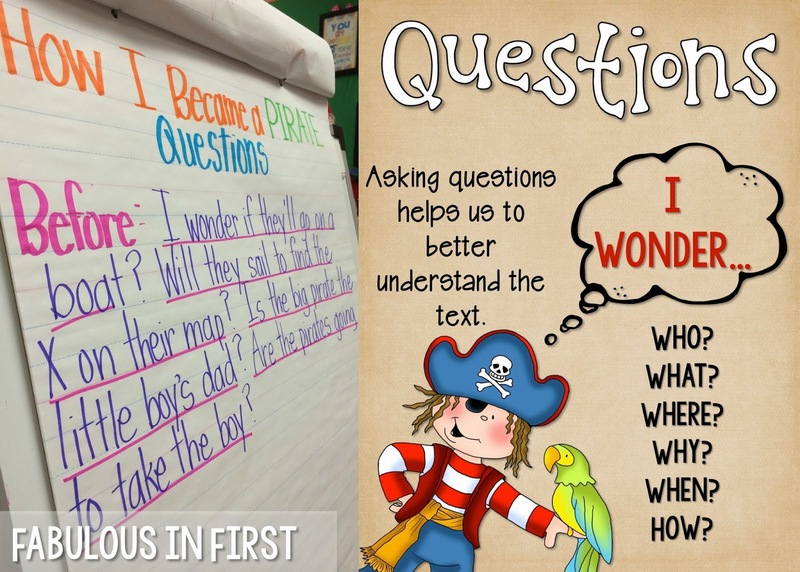 I love the book How I Became a Pirate so I knew it would be perfect for covering lots of first grade reading literature and language standards. 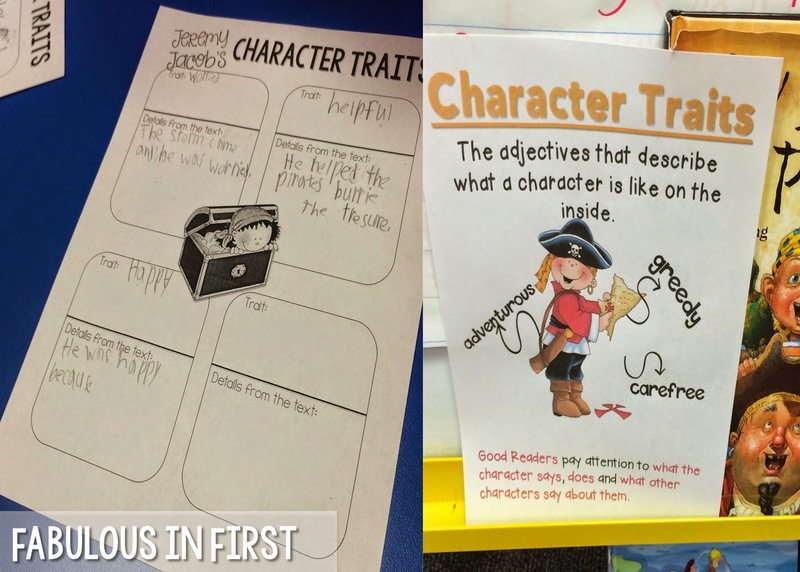 During this week we covered questioning, retelling with details from the story, character traits and details that support those traits, point of view, and main idea. In writing we were working on opinion. 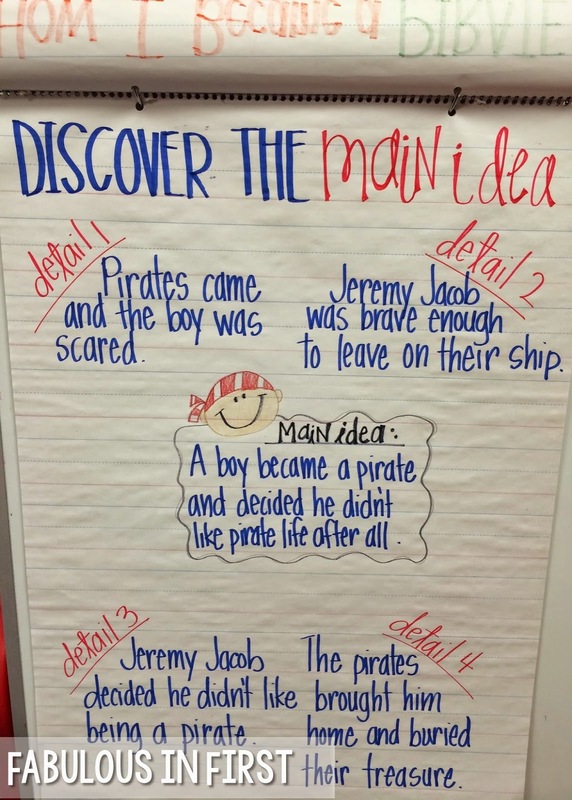 I don't usually theme my writing, as we use Writer's Workshop, but because we are currently working on opinion writing and because using literature to respond with an opinion is important, I thought we'd begin with their opinion of being a pirate. On day one we just talked about facts and opinions. 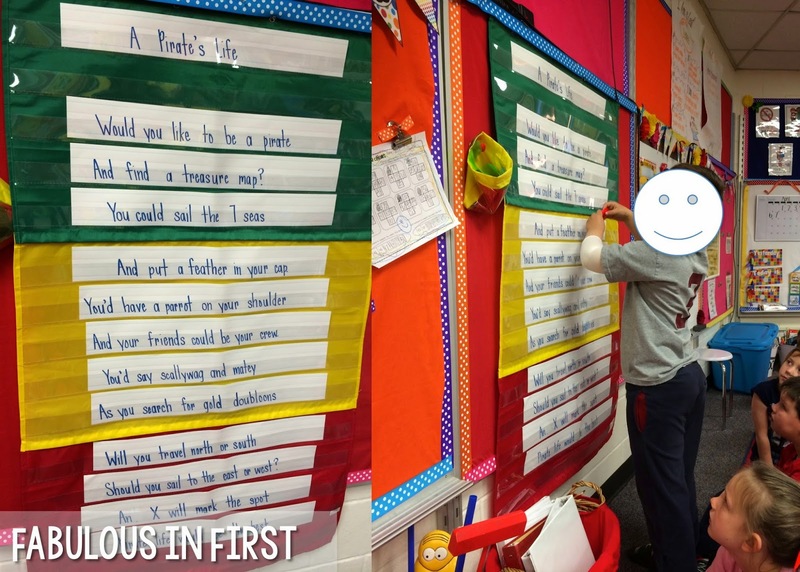 I gave my kiddos all sorts of choices and they worked with a parter to state their opinion and reasons why the preferred on thing to another. 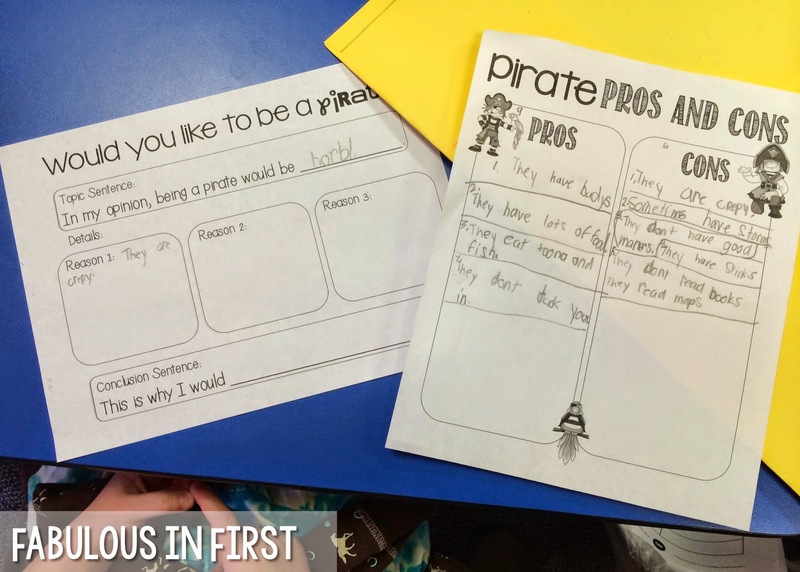 On day two we created a Pros and Cons list of being a pirate. Then my students used their lists of pros and cons to fill in a graphic organizer. Finally they used that organizer to write their final piece. During Social Studies we were coving map skills. During this time students made compasses, read maps, and even created their own. My Centers at the end of the day also follow our theme for the week. Here are a few pictures of our centers. Of course, while my kiddos are reviewing Common Core standards through centers, I am meeting with guided reading groups. Below is a picture of one of my sweeties with their poetry center. 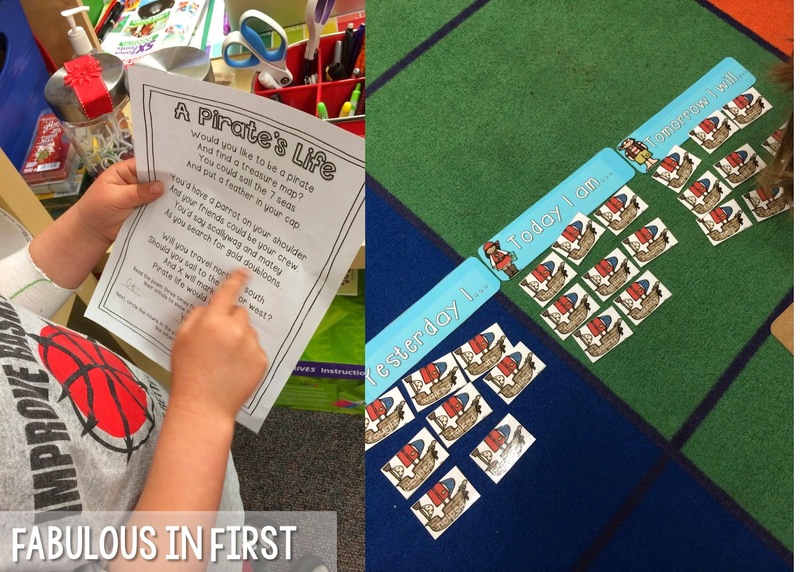 Another student is working on verb tenses in a little pirate sort. 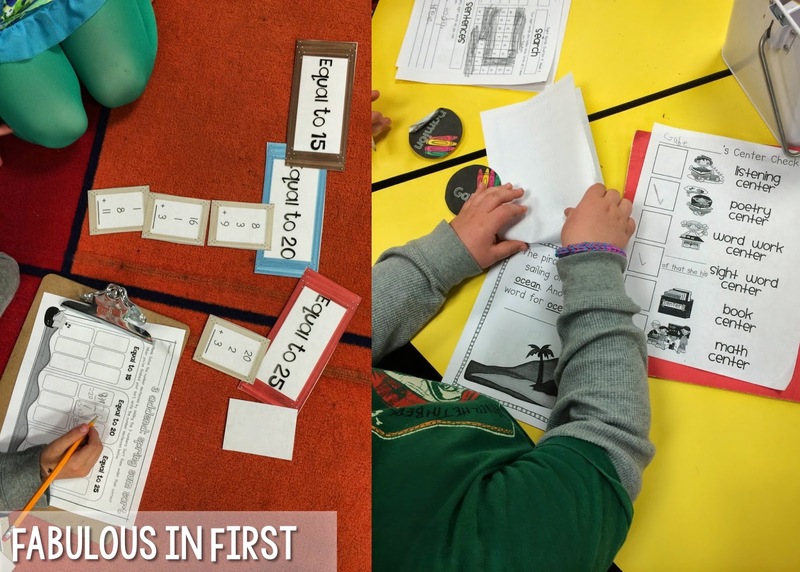 We were also working on adding three numbers with sums to 25 and a pirate book centers where students practiced vocabulary by inserting the proper synonym for the bold word. In addition, on Fridays I try to fit in a fun writing activity with craft. I hope it gave you a little peek at what goes on in our room and proved that themes aren't just fluff. They make sense to kids, they're fun and they get the job done. PS. Lots of people have asked if I would create a list of my themes. Here are list of my themes for the year. 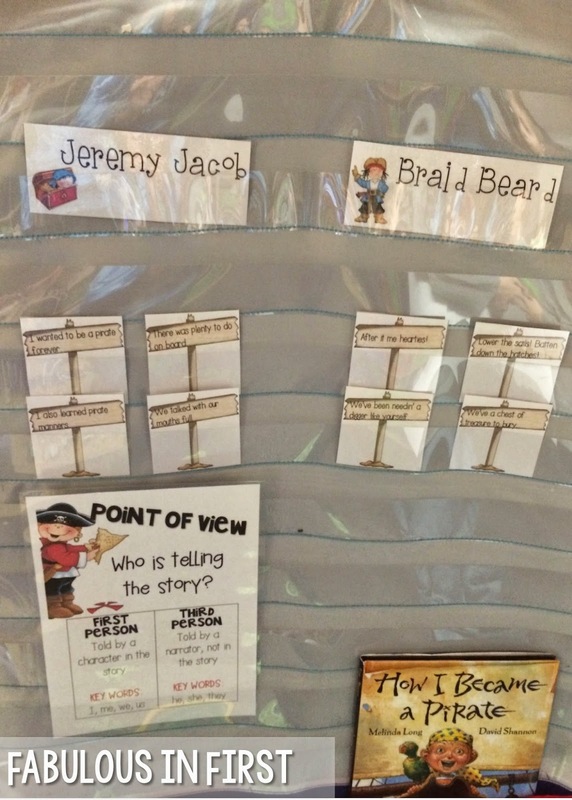 I have also made the pink titles clickable and they link to the resource I use for each unit. Teacher Week - 5 Fun Facts About Me! Teacher Week 2015 is Here!! Do you GoNoodle? Do you GoNoodle PLUS??? First Day of School Activities! My Favorite FREE 1st grade math centers! See Our Classrooms and Shop the BIG Sale!